Hennen, North Dakota’s favorite conservative talker and naked mole rat impersonator, claimed that Hoeven’s criticism of Trump helped Democrats. “Our callers, our listeners are concerned that when you and Sen. Rubio and others are critical of (Trump) … that you’re sort of giving more voice to the Left, that why do Republicans pile on President Trump when it just makes his agenda more difficult to accomplish?” said Hennen. “Scott, I think there has to be a clear message here. A clear message that we will not tolerate Nazism or white supremacy. That’s it, period,” Hoeven said, a point he’d already made in the interview several times. Hennen still didn’t get it. Hennen still wouldn’t let it go, so Hoeven walked away from the mic, ending the interview. Hennen believes it’s better to let white supremacy slide than to side with Democrats. 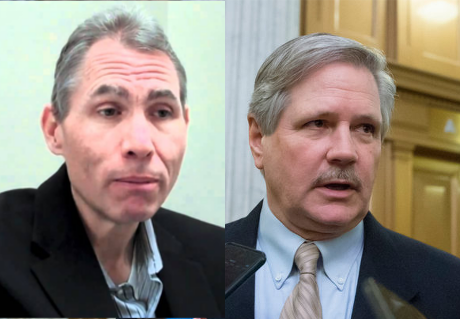 Be the first to comment on "Radio Host Upset That Senator Hoeven Denounced White Supremacists"